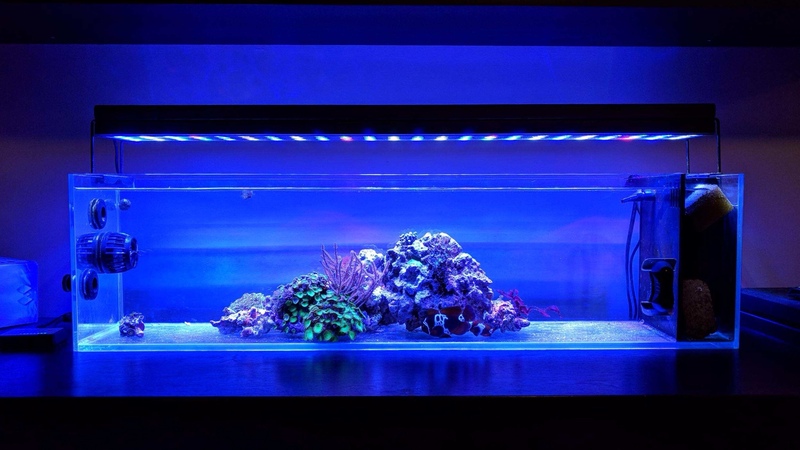 First off, I wanna say this is an awesome tank for anyone who wants a nano and room to scape. The dimensions are 35.4 long 8.3 high and 9.4 from front to back. 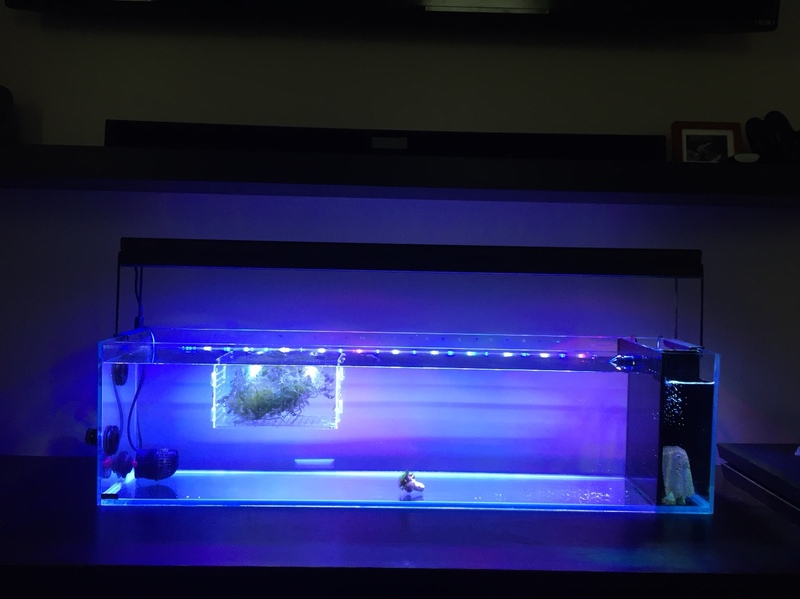 I bought this tank a few years ago to be a planted aquarium. 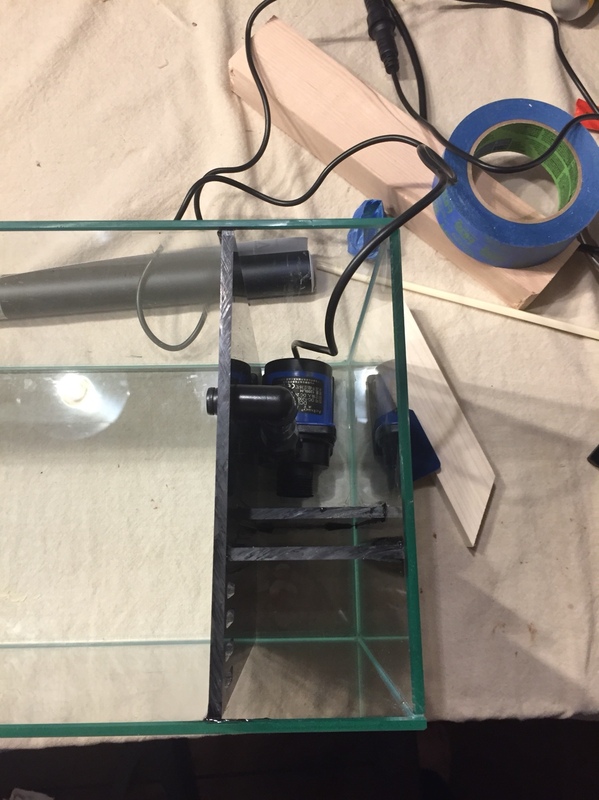 First thing I did was drill two holes to directly attach a canister filter an inline heater. 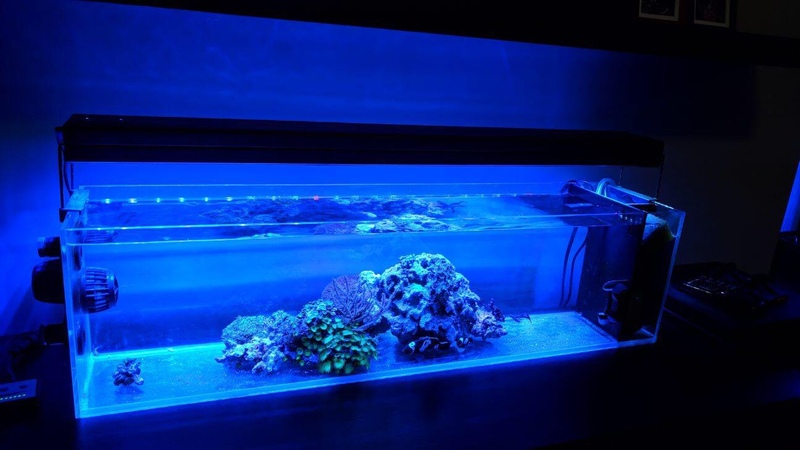 For me, keeping the tank clean of equipment is a very high priority. It has gone through many changes and this was right around the time I broke it down. 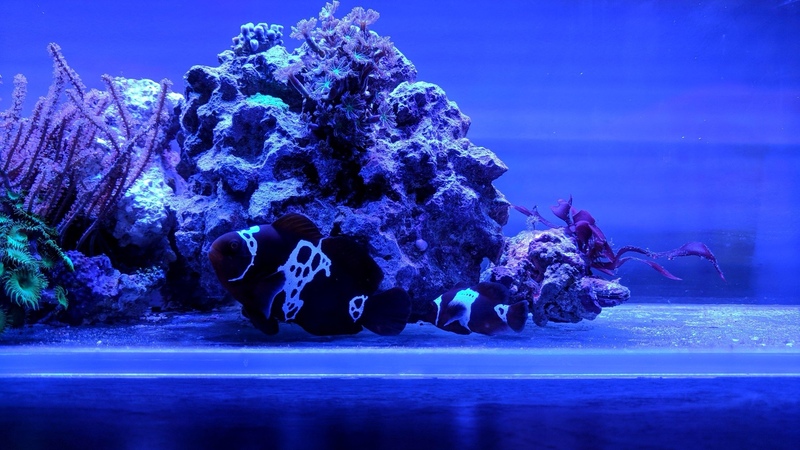 A high tech planted tank is actually a lot more maintanance than a saltwater tank. 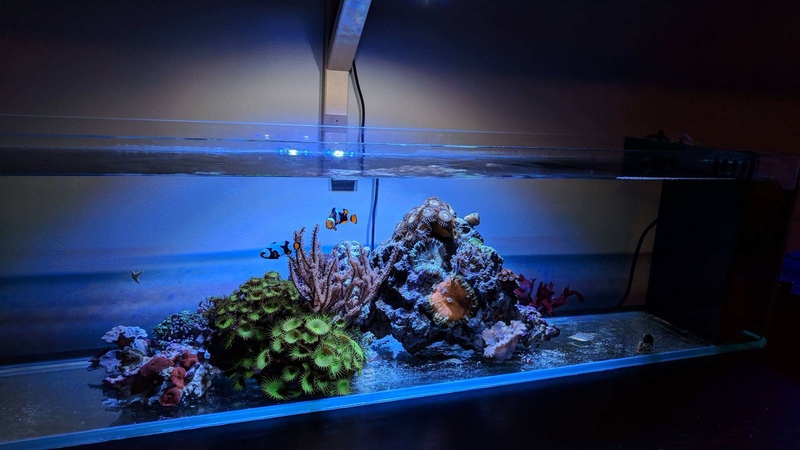 I did 3 water changes a week and pruned twice a week. 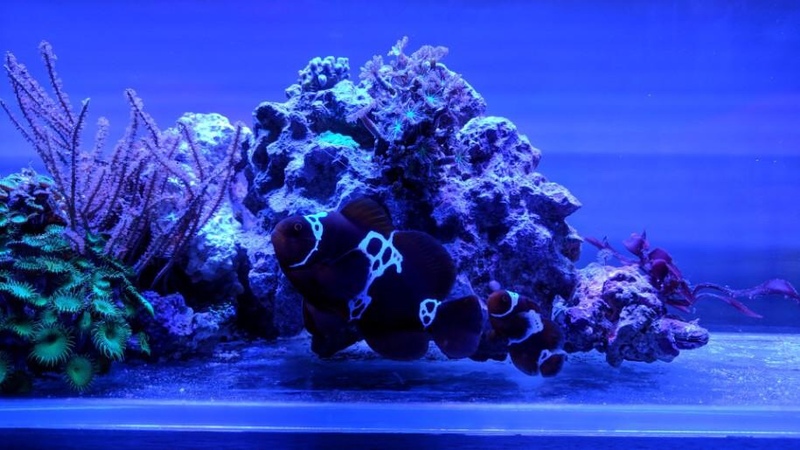 It eventually became too much work and I focused on my saltwater tank instead. 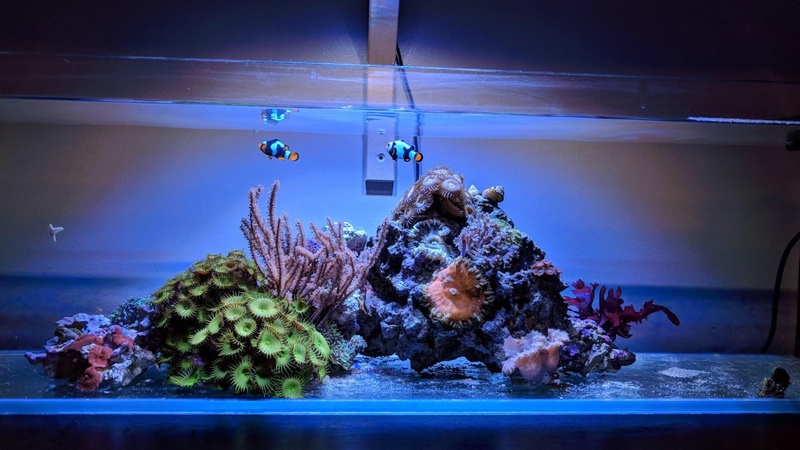 Fast forward a few months and I’ve got the itch to use the tank again. I was thinking just softies and a pair of clowns. 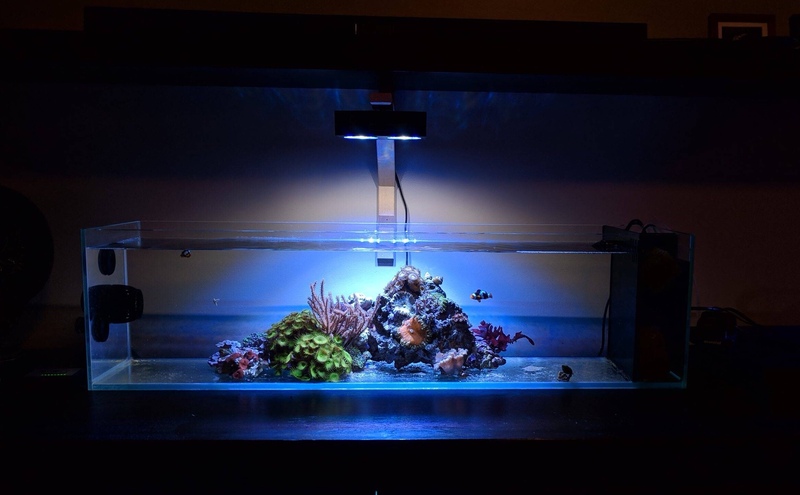 I plugged the bulkheads and wanted to keep it really simple with just a heater, powerhead, power filter and the same light I had for the planted aquarium. Filled it up and after about 2 days of looking at it of course I wanted to change it. 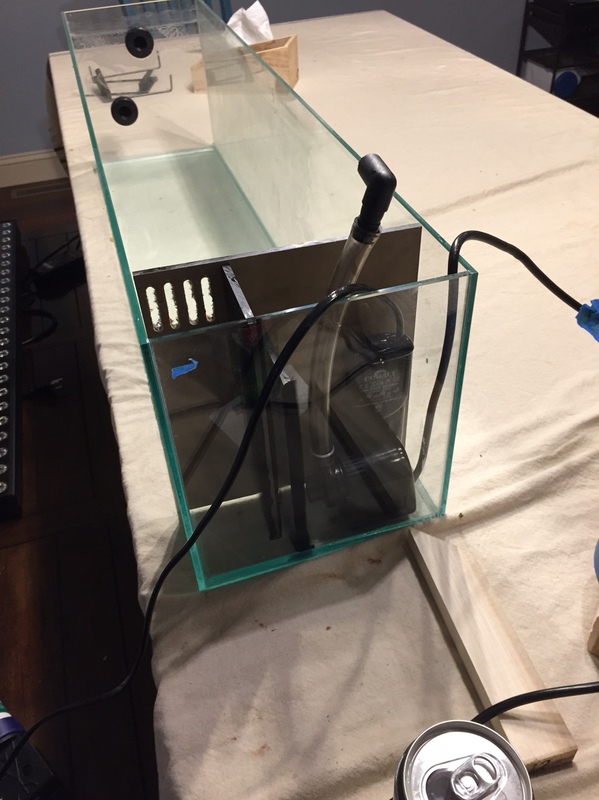 I didn’t like seeing the equipment so I made plans to build in a compartment on the right side like a peninsula tank to hide the equipment and slide in a return pump. Also ended up getting a cheap led fixture on eBay that’s a ton brighter and a lot more blue. It’s the first time I’ve made anything like this but it’s actually pretty easy. 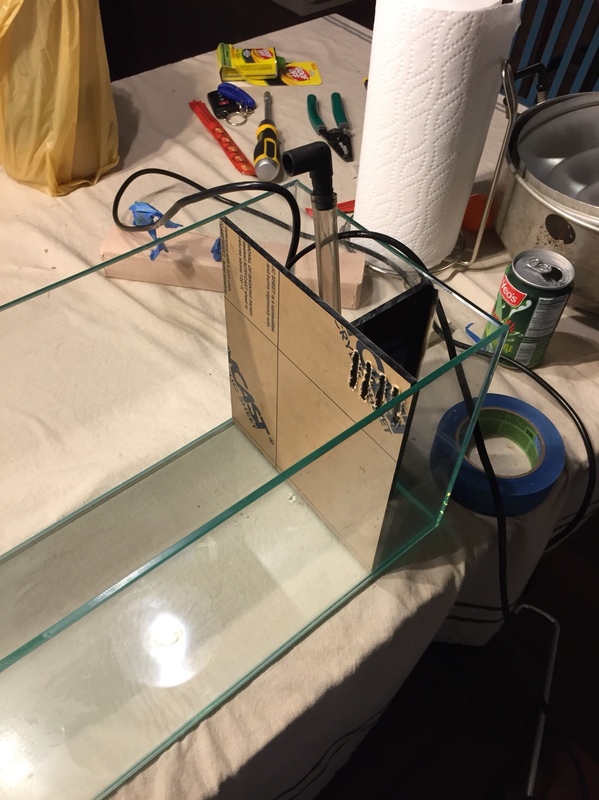 I used a 12x12 piece of 1/2in black acrylic to make the wall and two baffles. It cuts very easy on a table saw with a good blade. For the slits in the overflow I drilled 4 1/4in holes and then used a router to get the lines. The hardest part is finding the return nozzle assembly. 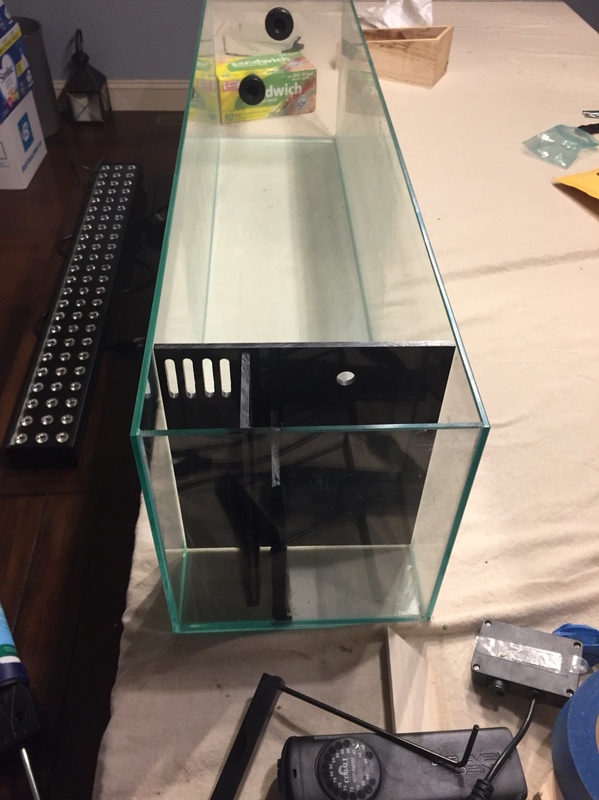 I was hoping I could buy it from Innovative Marine but they don’t sell the entire package. Just the nozzle and the elbow. Not the coupling that holds the two together. I was able to find an assembly on amazon. It’s smaller than I want but it works. 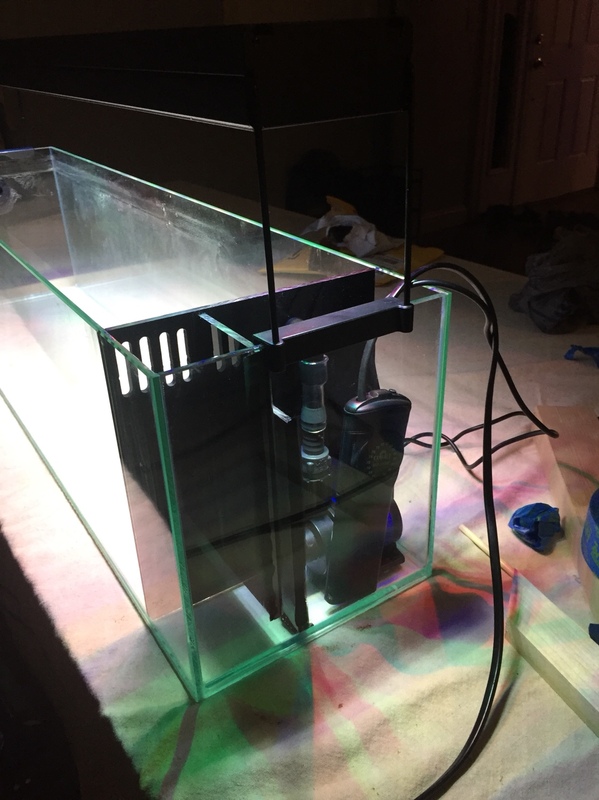 I upgraded the return pump from a stock IM 30L Nuvo to a jebao 1200 DC pump and it fits perfectly. 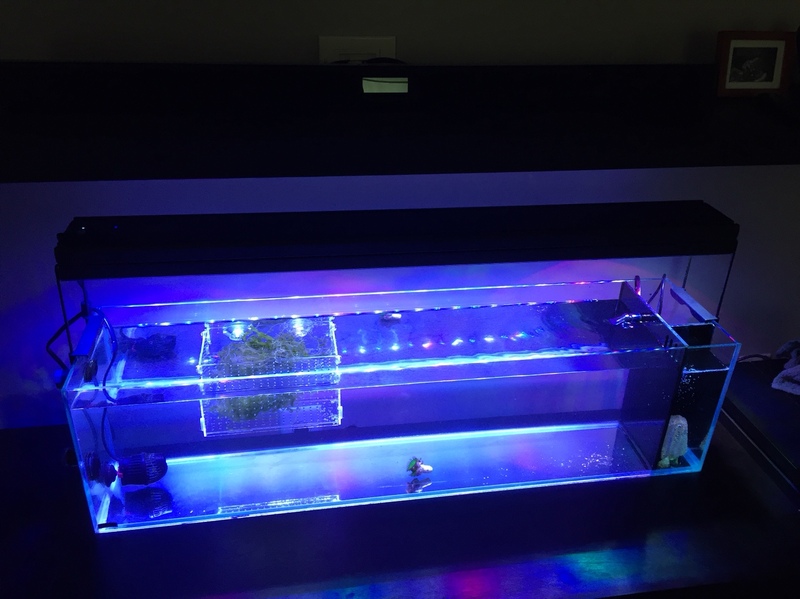 Filled it up today and added an acclimation box with some Caulerpa and a piece of Marine Pure from my established 30 gallon. 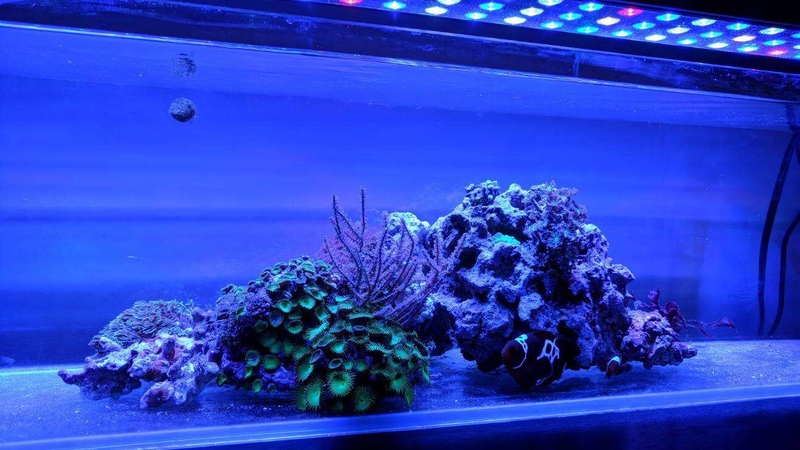 I also put in a frag with green plays as a water quality indicator. If this thing dies I know I did something terribly wrong lol. It’s been a really fun small build and I’ve got something very special going in there soon. Nice looking mods! I am curious why you didn’t make the peninsula baffles and return to cover the bulkheads? Nice clean handy work and I like the dimensions. Unique! The bulkheads would have interfered with the baffles and I didn’t feel like shaping the baffles. 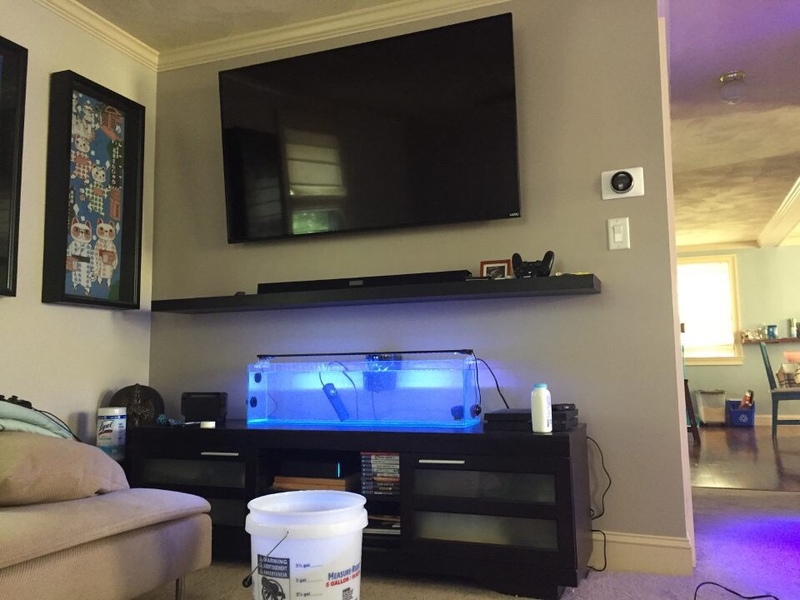 One of these days I might replace those bulkheads with a siliconed piece of glass. Cool. I had looked at that nifty bookshelf tank as the dimensions are quite interesting. I enjoy your canary palies. Dude this thing is so cool and simple! I like it a lot. I ended up switching it to an Ai nano.